James River Chapter of the Ruffed Grouse Society welcomes you to join our efforts to restore the Ruffed Grouse to our region. We are mainly hunters who are dedicated to protecting, restoring, and creating early successional forests that provide habitat for ruffed grouse, woodcock and other species of wildlife that are slowly disappearing. Members of the Ruffed Grouse Society support national scientific conservation and management efforts to ensure the future of the species. The organization headquartered in Coraopolis, PA, employs a team of wildlife biologists to work with private, and government, including local, state and federal, landowners who are interested in improving their land for ruffed grouse and other wildlife that have similar requirements. The RGS does this with specific programs to help landowners, and by working with local, state and federal governments to develop land management assistance programs. Chapters, such as James River Chapter, consist of members who share a common interest and passion for these birds and other wildlife, while enjoying the lore, the dog work, the excitement and camaraderie of other enthusiasts. 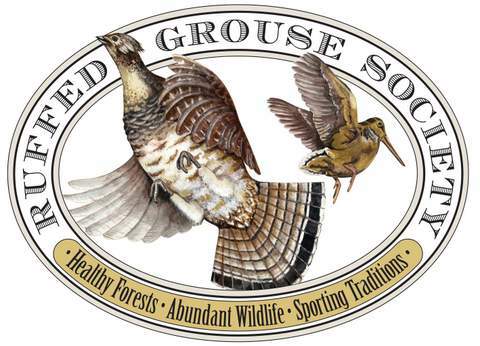 The James River Chapter provides a local focus and kinship for the sport and help support land management projects that improve conditions for ruffed grouse and the species that are associated with them. We also sponsor events that bring people with common interests together to share their adventures afield, honor their peers and to raise funds to support our conservation programs.